After having suffered a 3-1 defeat at the hands of Real Madrid in the Champions League final, a distraught Liverpool fanbase was subjected to some good news by the club, in the form of brand new summer signing Fabinho. The Reds finalised the transfer of the versatile Monaco man in a £39 million deal on Monday night, thereby adding another exciting prospect to their rapidly developing midfield. While some sources have focused entirely on Liverpool‘s brand new recruit, others have been claiming that the Merseyside giants beat their arch-rivals Manchester United in the race for the Brazil international’s signature. However, Manchester Evening News have now revealed that the latter claims are entirely false, as the Red Devils ended their pursuit of the Monaco star in the summer of 2017 itself. 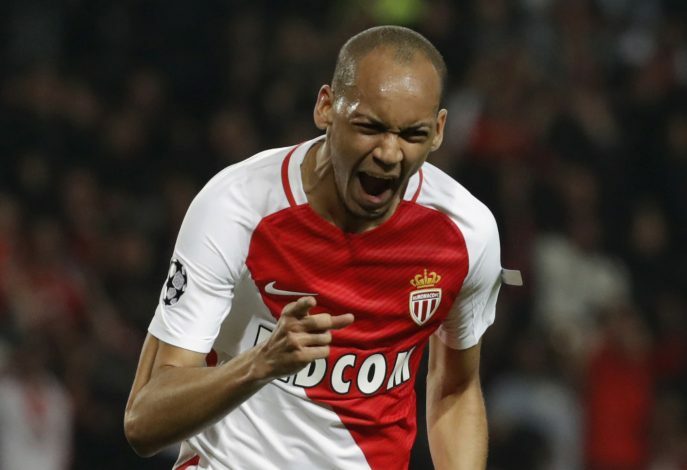 Following his first season at the helm of the Old Trafford outfit, Jose Mourinho did identify Fabinho as one of his midfield targets, as the player had impressed enormously in the process of helping AS Monaco win the Ligue 1 title. But since the Portuguese tactician needed a proper central midfielder – someone unlike Fabinho, who was originally a right-back, and was later converted into a central midfielder due to his team’s demands – Jose turned his attention towards other targets. The United gaffer, who also needed a midfielder with Premier League experience, then identified Tottenham Hotspur starlet Eric Dier as his target, but thanks to the London club’s unmoving stance in the negotiations, Jose eventually ended up reuniting with his former Chelsea man Nemanja Matic instead. And while rumours have suggested that the Mancunians enquired about Fabinho’s availability this summer as well, the fact remains that United have been solely focused on wrapping up a deal for Shakhtar Donetsk superstar Fred, with the ex-Monaco man not even on their radar. Given their enormous financial resources, several top clubs have often made up Manchester United‘s fake interest in their players in order to drive the prices up as well as smoke out potential bidders, and M.E.N. indicate that the claims of Fabinho snubbing United are the by-products of just that.